"The commentary is biblically focused and very brief, best-suited for women with limited time to skim the surface of the chosen theme." "God is ever-eager to reveal to us more of Himself through His Son and through His Word. Sometimes, He gives us a friend to lead us—Elisa Pulliam is such a friend. 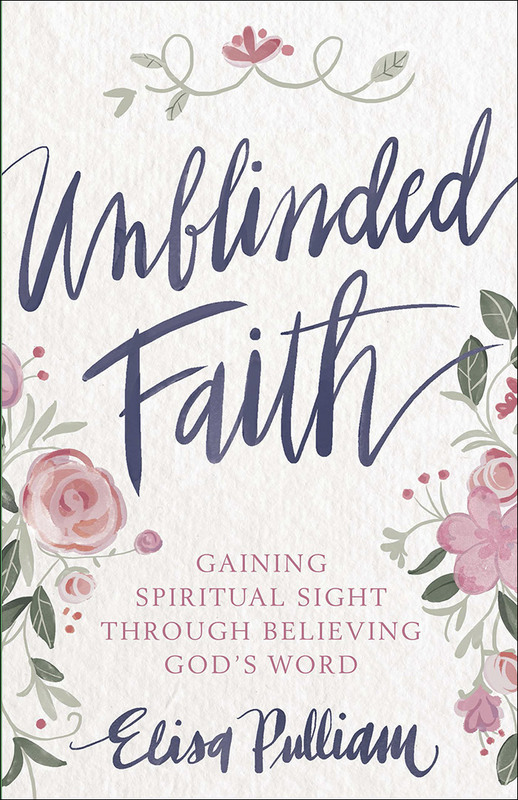 Each short chapter of Unblinded Faith feels like a deep sit-down conversation as she delivers the Word, tells stories that bring those Bible lessons to life, and asks leading questions to help us think and engage so the blinders fall just a bit, and the light shines brighter than before. Oh, how our faith grows when we spend time with God in His Word. Unblinded Faith is for all women who want to see Him clearly in their everyday, walk-around lives!" 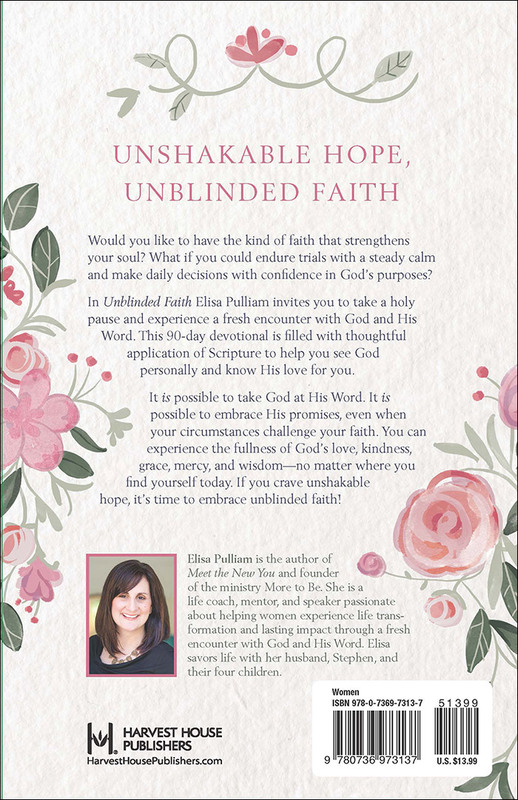 "In Unblinded Faith, author Elisa Pulliam reminds us that sometimes the best thing to do is to hit the reset button—to step back from the social connections that drain our souls and cause us to doubt God's promises—and get back to basics so that we can regain much needed emotional and physical margin in our lives. "I'm not a girl who naturally faces the hard days with peace and trust. Some days it's more difficult to see truth, to see Christ. I often have to be reminded who's really leading the charge over here. That's why Unblinded Faith encourages me. This is a book about hope and life-changing truth that will help us find the sort of perspective that could change everything. Lisa, a seasoned life coach passionate about spiritual growth, offers compelling and relatable narratives that challenge us to embrace God's promises. Unblinded Faith invites us to walk this life with open eyes—passionate, purposeful, and full of possibility."